Why do emotions feel automatic and uncontrollable? Does rational thought really control emotion? How does emotion affect disease? How can you make your children more emotionally intelligent? A new theory of how the brain constructs emotions could revolutionize our understanding of the human mind. How Emotions Are Made answers these questions and many more, revealing the latest research and intriguing practical applications of the new science of emotion, mind, and brain. Join psychologist and neuroscientist Dr. Lisa Feldman Barrett as she discusses her new book and its implications for psychology, health care, the legal system, and more. 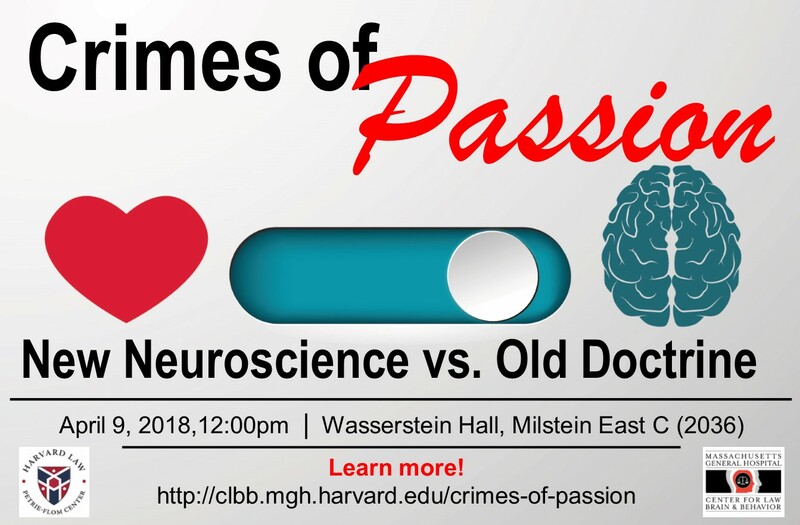 CLBB Faculty Member Dr. Joshua Buckholtz (of the Harvard University and Massachusetts General Hospital) will serve as a commentator, while New York Times editor James Ryerson will moderate the conversation and subsequent audience Q&A. 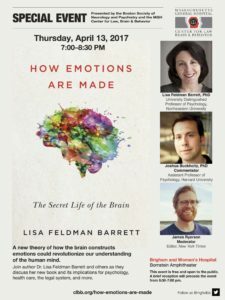 This event will be held on Thursday, April 13, 2017, at Brigham and Women’s Hospital, Bornstein Amphitheater, from 7:00-8:30 pm. Make sure to RSVP for the event here! This event is free and open to the public. A brief reception will precede the event from 6:30-7:00 PM.